A comment in a recent post about a lotus pond vase with a Lao Tian Li signature raised the question, "How can you tell if a piece is by Lao Tian Li without relying on the signature?" Note the peculiar bracket-shaped veins in the leaves, and the spiky symmetrical chrysanthemum petals. 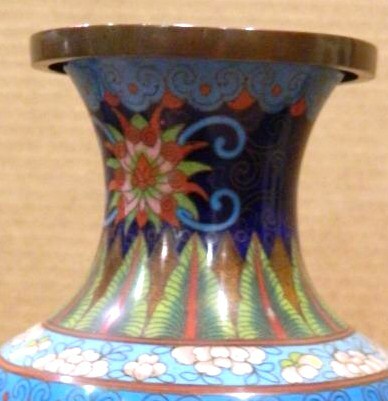 The next picture shows the full view of this vase. This vase was the topic of a discussion at the Asian Arts Forum. An unsigned vase displaying the distinctive style of flowers and leaves seen in the examples above, but with a heavier rim and more abbreviated collar and foot motifs that seem more characteristic of the 1920s-30s. 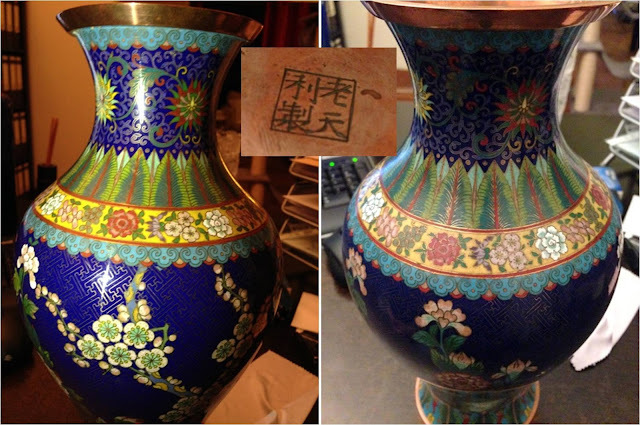 A piece from the Lao Tian Li studio, or not? What's your opinion? UPDATE: Scrollwork at the top, but not filled in with different colors from the background - another abbreviated feature. UPDATE: A somewhat similar pattern in a vase pair displayed on a Chinese website. 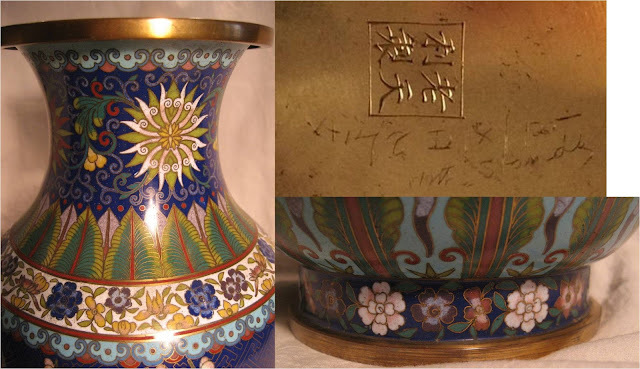 The signature stamp seems to be similar to that used on the lotus pond vase featured in a previous post, perhaps used in the 1920s or later. Hello. in the last photo the vase there is no characteristic flourishes at the top. 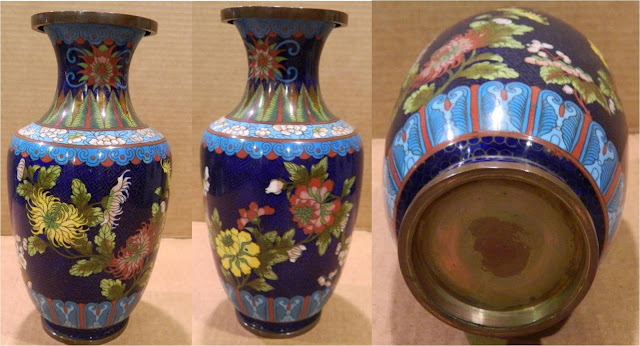 Want to show interesting vase on the topic of how to attach a photo? The scrollwork is there, the photos just aren't that good. I'll add another photo. 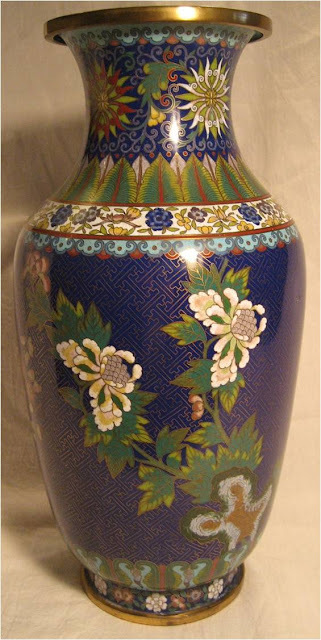 Blogger doesn't allow photos in comments, so you might try posting your photo to the Asian Art Forum. More people will see it there than on this blog.